Get a FREE Mrs. Fields Cookie for Verizon Up Rewards Members! 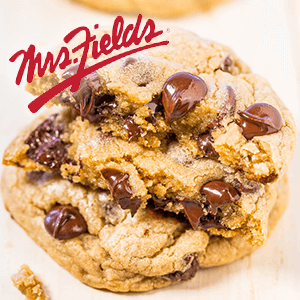 check your account for an offer valid for a free regular Mrs. Fields Cookie ($1.99 value) at any participating Mrs. Fields location it must be claimed by today, 4/15/19. Offer must be used at a Mrs. Fields location by 4/21/19.